Ivan Maldonado (black jacket) works night shifts at a local factory to help support his mother and younger brothers. 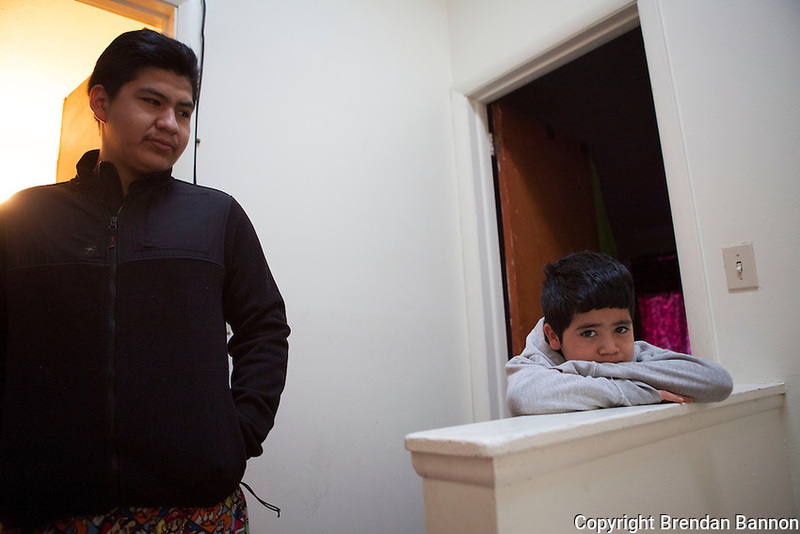 Ivan left school to work after his father was deported. Everyday he wakes early to prepare his youngest brother Kevin for school because thier mother works a 12 hour shift beginning at 5 AM. Brendan Bannon. Painesville, Ohio, March 26, 2014.